Filed in the Northern Division of Eastern Illinois, the lawsuit was filed on behalf of plaintiffs Penny and Jerry Manzi. 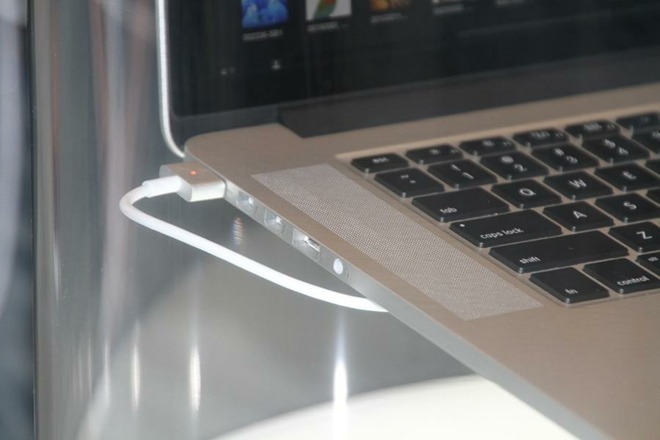 Penny Manzi was at home using her MacBook with Apple's MagSafe Adapter that magnetically provided power to the machine. Penny was using her oxygen machine at 100-percent when the adapter allegedly created a spark that ignited the oxygen mask, "engulfing the plaintiff's skull and face in flames." The incident happened in January 2018. Plaintiff's claim Apple was fully aware of the issues plaguing the MagSafe Adapter, but purposely misled customers by not directly notifying the Manzis of its potential dangers. As noted in the complaint, Apple acknowledged there were issues with certain MagSafe Adapters through an extended warranty initiative. Previously available to U.S. customers, the Power Adapter Replacement Program identified older-generation T-shaped adapters for replacement. The replacement program debuted in 2011 as the result of a class-action lawsuit claiming MagSafe's design leads to "Strain Relief Damage." According to complaints, some T-shaped MagSafe hardware showed signs of deterioration in daily use, with frayed and exposed internal wires potentially posing a fire hazard. A lawsuit in 2010, for example, claimed sparks from a faulty MagSafe unit caused a major house fire in Connecticut. Apple's Power Adapter Replacement Program ended in January 2014. It is worth noting that plaintiffs in today's case did not identify the MacBook model in use by the Manzis. Considering Apple initiatives referenced in the case, it can be assumed that the computer in question dates back to the first-generation T-shaped MagSafe adapter that saw use from 2006 to 2011. A second-generation iteration that ditched the T-shaped design in favor of a barrel-mounted L-shaped connector was introduced in 2012. The Manzis are seeking an excess of $75,000 from Apple for past and present pain and suffering, loss of normal life, and medical expenses resulting from the fire.